I am introducing essay writing to a few students. We are writing a collective essay on GOOGLE docs – each person researching and writing one paragraph about squirrels (because we keep seeing them out our windows!). 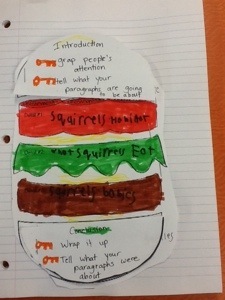 Today we talked about the keys to writing an introduction and conclusion. This activity is a lot of fun! Seeing everybody’s typing happening on one document at the same time pushed each student to do his part. It was also less overwhelming and should have a great outcome – a five paragraph essay! OUR HOT TIP: when doing research, GOOGLE “info for kids” with your topic so that the articles are shorter and to the point! Posted in writing and tagged conclusion, essays, graphic organizer, introduction. Bookmark the permalink. We are finding the GOOGLE Read and Write extension helpful. 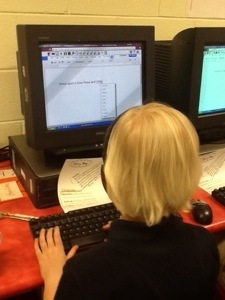 My students are using it for word prediction as they type and reading websites or written work aloud. The extension even has a dictionary and speech to text tool. It shows up in the student’s google toolbar everytime and anywhere they log in. You can download a trial. We think it’s great! Posted in apps, writing and tagged google, speech to text, text to speech, word prediction. Bookmark the permalink.